MOSCOW, September 3. /TASS/. State-of-the-art weapons, including drones, were supplied to terrorists in Syria by foreign sponsors via bogus companies, Russian Foreign Minister Sergey Lavrov said in an address to the participants in an anti-terror conference in Moscow that was read out by Deputy Foreign Minister Oleg Syromolotov on Monday. 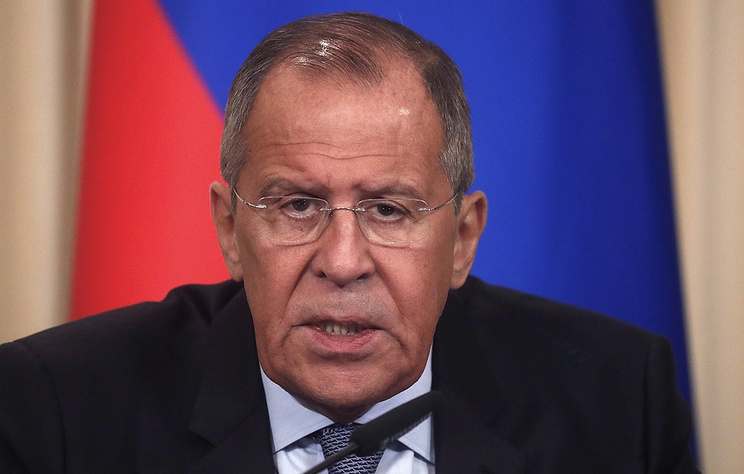 "Terrorists’ resistance in Syria has not been broken down to the end," Lavrov said in the address. "Scattered groups of terrorists continue fierce fighting. Notably, militants suffer no shortage of weapons and munitions. Moreover, they use state-of-the-art weapons, such as unmanned aerial vehicles. Evidently, it would be impossible without foreign sponsors." "The counter-terrorist operation in Syria has exposed numerous evidence of supplies of various weapons and hardware to terrorists by bogus companies via third countries," the document says. 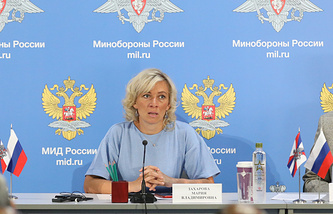 The Russian top diplomat called on the world community to do away with the so-called "grey zones" in the economy used as a channel to supply militants with weapons. He also insisted that the practice of dividing terrorists into "good" and "bad" be stopped. "Life proves that everyone loses in the long run," he underscored.